Spectators were on the edge of their seats until the very last horse came through the finish flags Saturday at The Dutta Corp. Fair Hill International Three-Day Event. 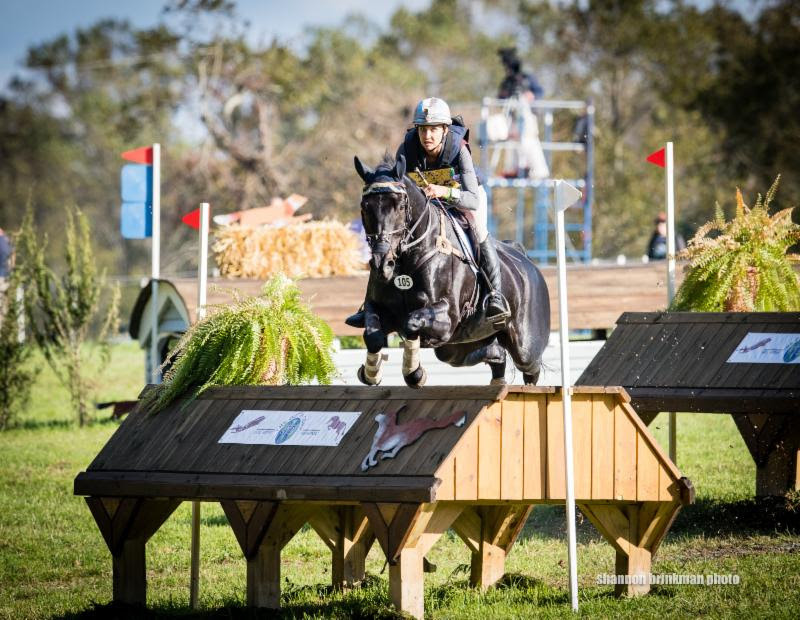 While Derek di Grazia’s challenging cross country course shuffled much of the leaderboard, overnight leader Frankie Thieriot Stutes rose to the challenge, holding her lead of The Dutta Corp./USEF CCI3* Eventing National Championship. Thieriot Stutes put the pedal down with Chatwin, a 10-year-old Oldenburg owned by The Chatwin Group, to finish inside the time on their dressage score of 27.3. They were one of only two pairs to achieve this feat. “I just wanted to attack the course. I think it was mentally tough the whole way around for me. He has so much heart and I’m just really proud of [Chatwin] today and lucky be on him the whole round,” Thieriot Stutes said. Buck Davidson and Archie Rocks made the cross country course look deceptively easy as they finished a comfortable seven seconds inside the time. Maya Simmons’ 10-year-old Thoroughbred sits on his dressage score of 32.4. “He’s [Archie Rocks] a true thoroughbred, and he tries hard. We’ve developed a great partnership. He’s very fast and very honest and he gave me a great ride today. He was terrific,” Davidson said. Boyd Martin, a two-time CCI3* winner at Fair Hill International, had a banner day, taking over the lead of the CCI2* with On Cue and moving into third in the CCI3* with Long Island T.
Long Island T, a 12-year-old Oldenburg owned by the Long Island T Syndicate, cruised easily around the track, adding just 4 time penalties for a score of 33.4. Martin and On Cue were confident and quick to take over the lead of The Dutta Corp./USEF CCI2* Eventing National Championship. Coming through the finish 14 seconds under the clock, Martin and the 12-year-old Selle Francais were the fastest pair of the day to stay on a score of 23.7. Emily Beshear and Jennifer Eisenbrandt’s Olney Uncle Sam had one of only five double clear cross country rounds to move into second place. She and the 11-year-old Trakehner remain on their dressage score of 26.8. Will Faudree and Michel 233, an 8-year-old Hanoverian owned by Jennifer Mosing and Sterling Silver Stables, moved into third place after an impressive cross country performance that had them adding only 1.2 time penalties. They carry a score of 28.3 into the final phase. The 30th Anniversary continues Sunday, Oct. 21, with the nail-biting show jumping phase.